It’s going to be Doll’s Day or Girl’s Day in Japan! 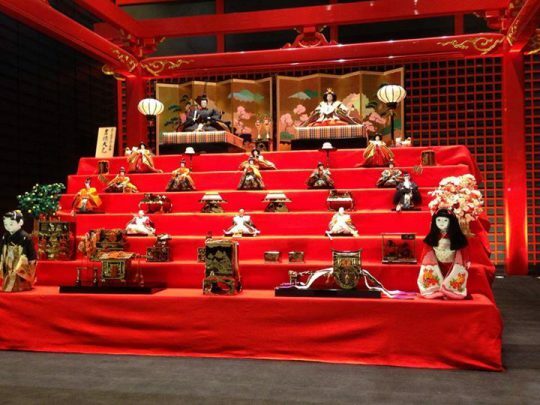 Doll’s Day (or Hinamatsuri) is celebrated annually on March 3rd in Japan, and red decorated platforms will be lined with ornamental dolls each representing the Emperor, Empress and musicians in court dresses of the Heian period. You may be able to see these at the departmental stores of Japan during this period! This picture is taken at the International Terminal of the Haneda Airport, so if you are going to land in this airport before March 3rd, drop by the Edo Stage, which is located in the middle of the Edo Alley.